Stop Sorcery Violence wants to highlight the work of those local women and men that are taking a stand against sorcery and witchcraft accusations, providing assistance to victims and survivors and advocating for positive change. See their website here. JMC as a non governmental organisation was established in 2000 by journalists from the Dalit community in Nepal. The organization advocates to eliminate caste based discrimination, promote a more equitable, inclusive, and accountable democracy, and environmental justice and sustainable disaster risk reduction through media mobilisation. The organisation has been vocal in advocating for the rights of women accused of witchcraft in Nepal. For website please click here . PPR Nepal is a non-governmental, non-profit organisation established in 2002 to advocate and work in the area of human rights and access to justice. PPR Nepal is established and run by lawyers, human rights activists, health professionals, peace workers and sociologists. Find out more about their work to protect victims of witchcraft accusations here. WOREC is a human rights organization relentlessly working for the protection and promotion of human rights. This institution was founded by Women Right Activists in 1991 in order to address the issue of human trafficking. WOREC Nepal has been relentlessly working to ensure the rights of voiceless and marginalised groups to promote social justice. 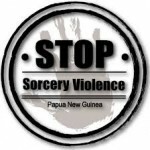 It is one of the leading national organisations that address the issues of Violence against Women (VAW), and advocate against human rights violations that occur as a result of allegations of witchcraft. Find out more about their work here. NariNepal.com.np has been developed as for the requirement of Pokhara’s Women. It has been designed to completely facilitate all the news about Women in the Kaski district and all information about the activities about the Women in Nepal. They provide information on women victims of witch-hunts. Find out more about their work here. WFN is a non-profit organisation who’s mission is to help regardless of caste, religion or race. WFN strives to alleviate problems through increasing public awareness of opportunities for economic and social development and by fostering social responsibility and self-reliance in developing villages. They raise awareness of witch-hunting and conduct organise training sessions to teach people that witch hunting is a superstitious practice. They also directly support the victims of witch hunts by removing them from the dangerous situation, treating them medically if necessary, and supporting them legally to file a case against their accusers. Find out more about their work here. Campaigns to end all forms of culturally-justified violence against women and girls. The organization exposes and confronts all forms and manifestations of CVAW wherever and whenever they occur; raise awareness on gender-based discrimination as the root cause of CVAW and promoting initiatives toward women’s empowerment and gender equality. Find out more about their work here. AWON work with poor, excluded and vulnerable women and men, girls and boys to advocate for their socially equal, dignified and just lives through partnership, human rights and result driven programs around political, economical, social, cultural and environmental empowerment. They spread awareness and advocate against violence that occurs as a result of allegations of witchcraft (see recent press release condemning the attack of Sunita Pudasainee here). Read more about their work here.